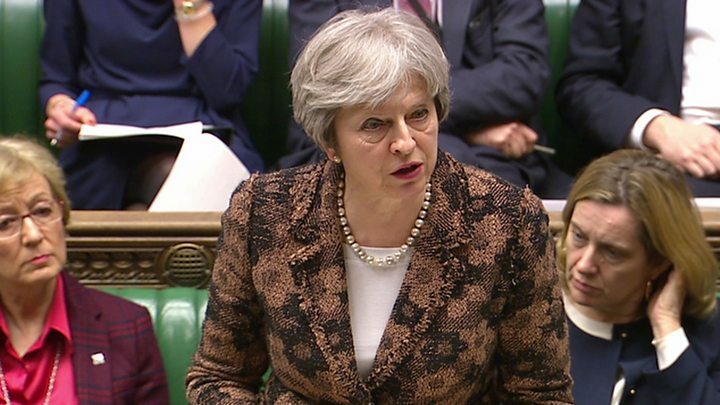 Former spy Sergei Skripal and his daughter were poisoned by a military-grade nerve agent of a type developed by Russia, Theresa May has told MPs. 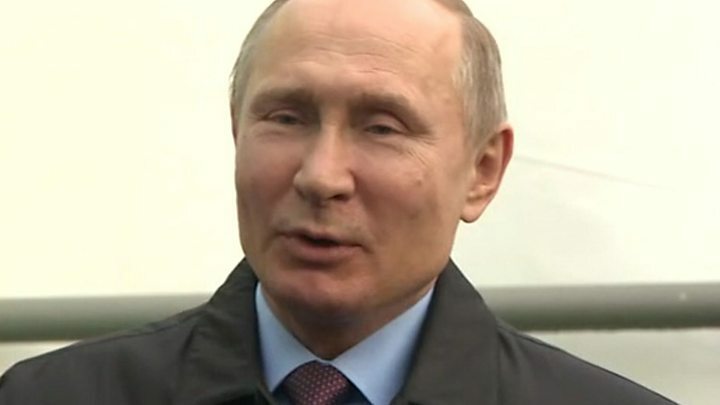 The PM said it was “highly likely” Russia was responsible for the Salisbury attack. The Foreign Office summoned Russia’s ambassador to provide an explanation. Mrs May said if there is no “credible response” by the end of Tuesday, the UK would conclude there has been an “unlawful use of force” by Moscow. The chemical used in the attack, the PM said, has been identified as one of a group of nerve agents known as Novichok. She said Foreign Secretary Boris Johnson had told the ambassador Moscow must provide “full and complete disclosure” of the Novichok programme to international body the Organisation for the Prohibition of Chemical Weapons. Mrs May said the UK must stand ready to take much more extensive measures, and these would be set out in the Commons on Wednesday should there be no adequate explanation from Russia. Retired military intelligence officer Mr Skripal, 66, and his daughter, Yulia, 33, were found slumped on a bench in Salisbury city centre on Sunday 4 March. They remain in a critical but stable condition in hospital. Det Sgt Nick Bailey, who fell ill attending the pair, remains seriously ill, but has been talking to his family. Mr Skripal was convicted by the Russian government of passing secrets to MI6 in 2004, but given refuge in the UK in 2010 as part of a “spy swap”. Home Secretary Amber Rudd will chair a meeting of the government emergency committee Cobra on Tuesday to discuss the latest developments in the case. Addressing the Commons following a meeting of the government’s National Security Council, Mrs May said: “This attempted murder using a weapons-grade nerve agent in a British town was not just a crime against the Skripals. She told MPs the positive identification of this chemical agent was made by experts at the UK’s Porton Down laboratory. She said Russia has previously produced the agent and would still be capable of doing so. The decision to point the finger at Moscow was also based on “Russia’s record of conducting state-sponsored assassinations and our assessment that Russia views some defectors as legitimate targets for assassinations”, the PM added. 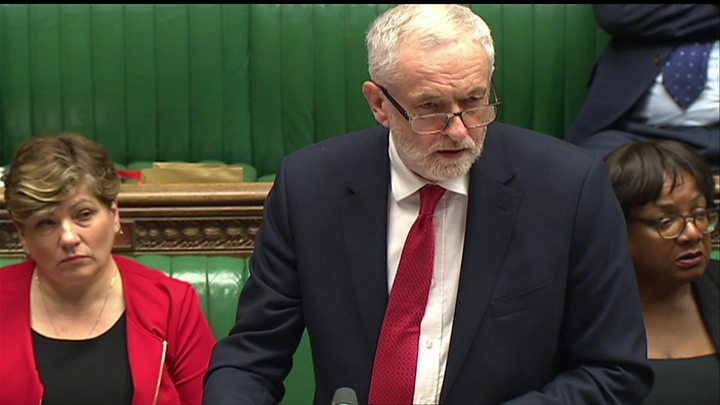 Labour leader Jeremy Corbyn said “robust dialogue” with Russia was needed to avoid escalating tensions further – but he was heckled by Tory MPs when he raised questions about Russian oligarchs donating money to the Conservatives. Secretary of State Rex Tillerson said the US agreed with the UK that Russia was likely to be behind the attack. “We agree that those responsible – both those who committed the crime and those who ordered it – must face appropriately serious consequences,” he added. Mrs May spoke to French President Emmanuel Macron on Monday and “discussed the wide pattern of aggressive Russian behaviour and agreed that it would be important to continue to act in concert with allies to address it”, her spokesman said. Nato Secretary General Jens Stoltenberg said the use of any nerve agent was “horrendous and completely unacceptable” and officials were in touch with the UK. Downing Street said the incident was not an “article five” matter – a reference to Nato rules which say an attack on one member constitutes an attack on all. However, the former UK National Security Adviser Lord Ricketts said action would be more effective with a “broader, Nato-EU solidarity behind us”. Russian Foreign Ministry spokeswoman Maria Zakharova said Mrs May’s statement was “a circus show in the British parliament”. “The conclusion is obvious – it’s another information and political campaign based on provocation,” she said. BBC political editor Laura Kuenssberg says the tone of the meeting between Boris Johnson and the Russian ambassador Alexander Yakovenko was “cool but firm”. She says the men did not shake hands and the foreign secretary expressed the “outrage” of the British public. What will the PM do next? Theresa May could have thrown the kitchen sink at Russia, expelling diplomats, toughening sanctions, and cracking down on oligarchs who keep their cash in London. Instead, the PM has chosen a staged response, throwing down an ultimatum to the Kremlin to explain what happened or face the consequences. The argument she was making was that this attack crossed a line, that it was not the sort of thing that sometimes happens to old spies in the darker underbelly of the intelligence world, but instead it was part of a pattern of Russian aggression from which other countries have also suffered. The question now is what action Mrs May will be prepared to take on Wednesday once Russia has responded, or perhaps failed to respond. The key will be the scale of the international co-operation she can secure. For it is one thing to crack down on wealthy Russians in London, but it is another to secure united international action against Moscow. This is a tougher ask, particularly when President Trump has yet to comment on the Salisbury attack and many European partners are looking to soften existing sanctions against Russia. Mrs May is promising “extensive measures” – the question will be whether they will be enough to make the Kremlin think twice. Police and Army activity continued in the Salisbury area on Monday, with officers – some wearing hazardous materials suits – removing a white van from the village of Winterslow, about six miles away. A Sainsbury’s car park has become the latest area to be sealed off in the city itself. Mrs May said the people of Salisbury had responded with “fortitude and calmness”, but there was some concern among residents about the length of time it had taken for information to be released. On Sunday, up to 500 Salisbury pub-goers and diners were told to wash their possessions as a precaution after trace amounts of the substance used to poison Sergei and Yulia Skripal were found on and around a table where they had eaten in Zizzi. Traces were also found at the Mill pub in the city which, like Zizzi, remains closed. Graham Mulcock, who saw the Skripals being treated by paramedics in the street, said it was a “disappointment” that advice which “might affect people” was not released sooner. Former chief medical officer for England, Sir Liam Donaldson, said he had also been a “little surprised” that communication with the public had been “slow to get off the ground”. Meanwhile, a man from Salisbury who breached the cordon around the bench where Mr Skripal and his daughter were found has been jailed for 16 weeks. Father-of-three Jamie Knight, 30, who pleaded guilty to assault, criminal damage and racially aggravated public disorder, was said to have been drunk when he shouted out abusive remarks about Russians, Swindon Magistrates’ Court was told.